Note: Chromecast does not have built-in VPN or MediaStreamer DNS functionality. 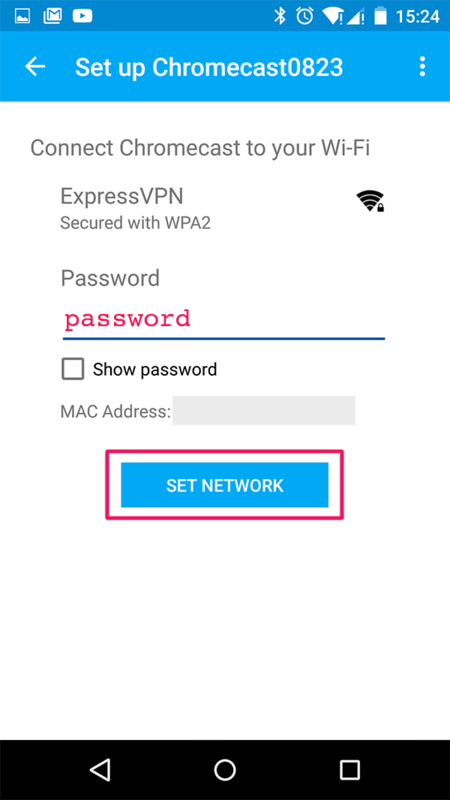 In order to use ExpressVPN on your Chromecast, you need to connect your Chromecast to a VPN-enabled virtual router or router. This tutorial will teach you how to do that. Note: If you want to access content from a specific country, then configure your virtual router or router with a server address from that country. You may also need to block Google DNS on your router. Need help? 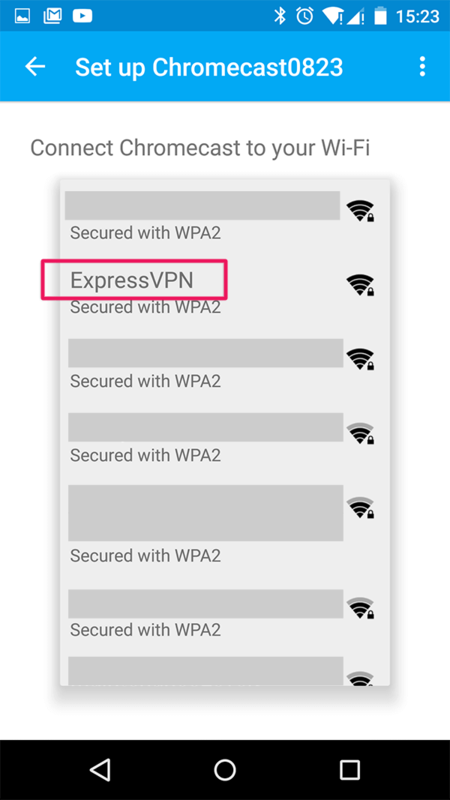 Please contact the ExpressVPN Support Team via live chat. 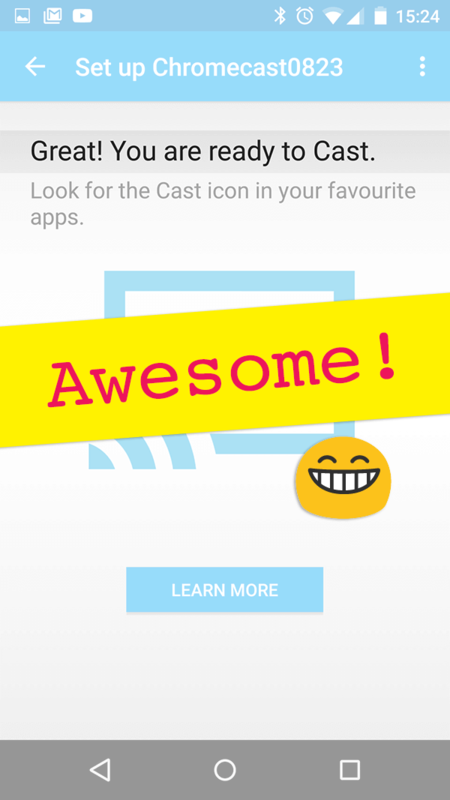 Please refer to the support documentation on the Google Chromecast Help website for step-by-step instructions to set up your Chromecast. When you arrive at the screen that says “Connect Chromecast to your Wi-Fi,” please refer to the next section of this tutorial. Enter the password for your virtual router or router, then click Set Network. You are now connected to your VPN-enabled virtual router or router. Awesome! You are ready to cast via your VPN connection! If you followed the above steps and have issues using Chromecast, please contact the ExpressVPN Support Team via live chat.